On 18th November 2016 the House of Lords considered the International Development (Official Development Assistance Target) (Amendment) Bill [HL] at its Second Reading. This is a Private Member’s Bill tabled by Labour Peer Lord Lipsey. The Bishop of Winchester, Rt Revd Tim Dakin, spoke in the debate. 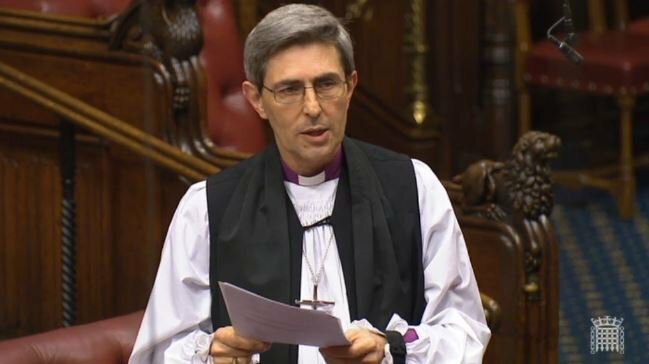 The Lord Bishop of Winchester: My Lords, I am grateful to the noble Lord, Lord Lipsey, for the opportunity to have this debate. I will not detain the House long. During my time living and working in east Africa, I became acutely aware of the importance of international development, and in attempting to raise funds for educational development I experienced the challenges of having to think in the long term and strategically while being accountable in the short term on financial matters. I suggest to your Lordships’ House that, in framing international development, we need to have a medium or long-term perspective on outcomes but a short-term perspective on requirements for financial accountability. Overemphasising either leads to short-termism or to the dangers of misallocation of funding and lack of appropriate accountability. In the Bill, I therefore suggest that these two dimensions be kept together, rather than split apart and put in opposition to one another. As with all things, there are both positive and negative points to draw on, some of which have already been helpfully identified, but one further area I want to explore is our use of the words “outputs” and “outcomes” in this context. In proposing this, I am advocating a well-known approach to development: “outputs” are those things that can be counted and recorded, such as buildings put up and people taught, whereas “outcomes” are changes which will need to be measured over time, such as those now engaged in new vocations making a difference. In proposing this approach to development, I am suggesting a short-term approach to outputs and financial reporting, but a medium and longer-term approach to outcomes in relation to strategic development and financial planning. With those short remarks, I wish the noble Lord, Lord Lipsey, well with his Bill, with the proviso that we do not change our overall commitment to the 0.7% annual figure, representing our serious commitment to development.